Reducing the carbon footprint of a small business can help it save money. Besides the money-saving benefits, adopting greener work ethics, means a business will be regarded as an eco-friendlier and therefore socially responsible company. 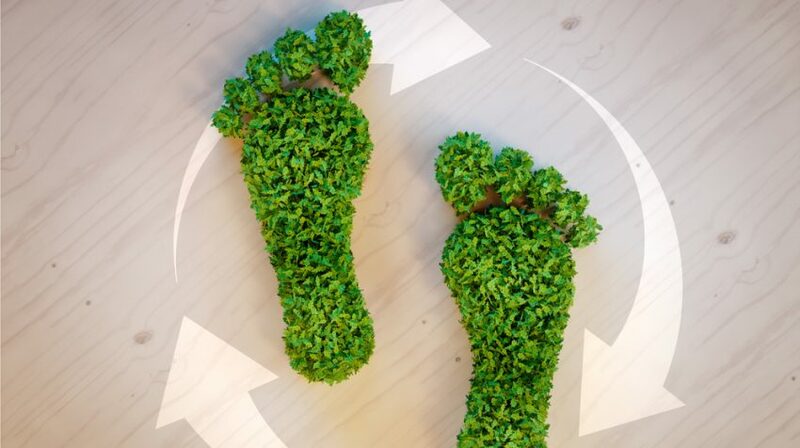 If you operate a small business and aim to make it greener and kinder to the environment, take a look at the following 25 ways a small business can reduce its carbon footprint. LED lighting is one of the most energy efficient forms of lighting a business can use, other than natural daylight of course. LED bulbs use approximately 15 times less electricity than halogen lighting, significantly reducing a business’s carbon footprint. Giving up paper in favor of digital files and documents creates an environmentally friendly working environment, obliterating the mounds of paperwork that inevitably build up in a business. Instead of relying on the car or other gas-guzzling transport, cycle to work by bike. Not only will you stop emitting nasty CO2s into the atmosphere on your daily commute, but you’ll get fit in the process. Encourage other colleagues and employees to cycle to work as well. The simple act of switching off appliances at the end of the day will help reduce your small business’s carbon footprint and save it money. 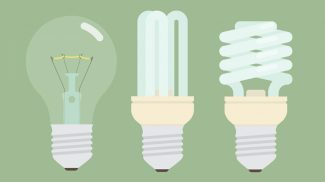 For appliances used intermittently, such as photocopiers and monitors, enabling the ‘power save’ mode, which mean they drain less energy when not in use, helps a business become more energy efficient. It might be tempting to keep your phone charger plugged in whilst at work but such appliances consume significant amounts of electricity even when they’re not in use but still plugged in. Laptops can use a staggering 80 percent less power than desktop computers. Reduce your small business’s energy usage by encouraging the use of more energy-efficient laptops rather than relying on power-draining desktops. All businesses generate waste and it is important businesses get into the habit of recycling their waste. Installing a series of recycle bins for specific waste will ensure the right materials go to the right recycling unit. 100% of metals can be recycled quickly and efficiently. Therefore, installing a metal recycling portal on a work premises will mean all drinks cans and other metal waste will be recycled and back into the system within a matter of weeks. Every time a piece of metal is recycled, it saves energy and reduces the size of the new product’s carbon footprint. If you have implemented a recycling system in your small business, which recycles materials such as used paper, printer cartridges and plastic, take the system a step further by purchasing new products in their recycled form? Market the fact you use all your recycled materials as new products to ensure your carbon footprint reducing efforts are recognized. All computers have a lifeline. 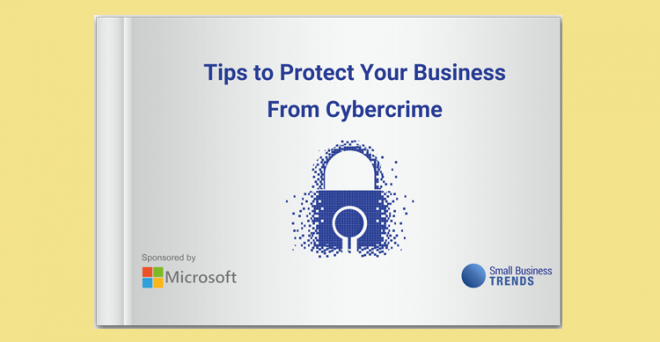 Instead of storing old computers in storage rooms gathering dust, or leaving them to be dumped on a landfill, ensure the valuable metals inside an old PC get recycled and utilized once more. Staff gardens are becoming increasingly popular. Not only do they provide a space to rest and unwind away from the desk, but they also have environmental benefits, as planting vegetation and growing produce helps improve our air quality by filtering harmful pollutants from the atmosphere. Drawing power from rechargeable batteries instead of disposable ones can significantly cut company waste and help businesses reduce their carbon footprint. If your business requires the use of company vehicles, use hybrid cars instead of gasoline powered vehicles. Hybrid cars run cleaner and use less mileage, making much more environmental sense. By heating and cooking food incredibly quickly, generally speaking, a microwave is more energy efficient than cooking in an oven. Encouraging staff to cook and heat up food in a microwave at lunchtime instead of relying on a stove, can help reduce your business’s carbon footprint. As well as ditching the company oven for a microwave, ensure all appliances within the office premises are energy efficient. In 1990, the US government introduced an ‘energy star’ logo program, designed to identify energy efficient products. Take advantage of it. Instead of placing newspapers in the office, encourage staff and to get their daily fix of news by going online rather than relying on physical newspapers, which naturally require hefty paper printing costs. Air conditioning is renowned as being a hefty power consumer. If your building is prone to becoming hot, using ceiling fans instead of air conditioning will significantly reduce energy consumption and help you make tons of savings in nasty CO2 emissions. Advocating meat free days in the office can be a great way to reduce carbon emissions, as well as engaging employees in fun, eco-friendly efforts. With huge advances in telecommunications and the introduction of cloud-based technology, operating remotely is efficient and productive. According to statistics, 45% of US employees worked from home during 2015. One of the biggest gains of working from home is that a business eliminates the carbon emissions produced during the commute to work. 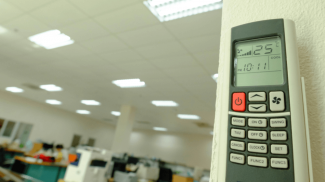 Assessing the energy consumption of your work premises will identify where savings can be made. By officially benchmarking the harmful greenhouse gases your company is producing, you will be able to devise an appropriate sustainable strategy more effectively. As video conferencing technology becomes increasingly sophisticated and accessible, business travel is becoming less imperative. Ask yourself, is that plane flight to New York really necessary, or can the meeting be conducted by Skype? Ensuring the heating in your building is efficient by blocking up drafts, closing windows and making good use of insulation, will help less CO2 emissions escape from the premises and into the atmosphere. Of course, a business’s carbon footprint cannot be eradicated entirely and a good way to reduce it is to offset the business’s environmental impact by planting sustainably-managed trees. Fitting the office out in furniture made from sustainable materials such as reclaimed wood will help your business make a positive environmental impact. 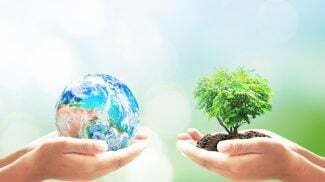 Weaving some of these green initiatives into the culture of your business will go a long way in ensuring the carbon footprint of the company is reduced and it reaps the multiple rewards of operating an eco-conscious business.